I had published this post in my personal blog, sometimes - 2, thinking it a bit too light for this blog. However a couple of readers of both blogs have suggested that my Khalistani readers might also enjoy it. It has been suggested that it might even give nonSikhs a little insight into our attitude about hair. I don't know about that. This is just my experiences and my thoughts. Anyway, after dead children in Gaza, murdered girl-foetuses in Punjab (and elsewhere) and all that is wrong in India, maybe we Khalistanis need a little relaxation.. I was discussing this with a friend online. What are the things most women do to their hair? 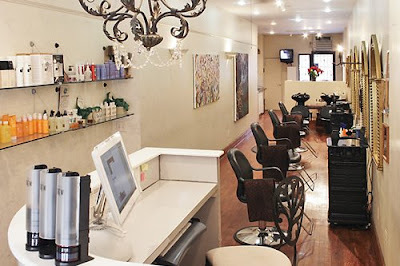 Straightening, I mean, relaxing, perming, weaves, braids, extensions, all kinds of styling and, of course, cuts. Of course, I support entirely your decision not to cut your hair, but I don't quite understand why it should not be trimmed (again, not the same as suggesting that I disapprove - it's your business, not mine, for one thing, and I respect you and your religion). God-given indeed, but so are nails and I suppose you trim your nails? Just out of interest, is it permitted that children with protruding teeth have them straightened, or are other procedures allowed that blur the lines between medical and cosmetic (repairing a cleft palate, for example, being on one side of the line and having laser treatment on your eyes being the other - not referring to nose jobs etc)? Dear Z Ji - The main reason I personally don't cut my hair is that it is asked of me by my Guru; other reasons are secondary. He asks me to keep all my hairs intact and unshorn, hence no trimming. In practical matters, most decisions are left up to the individual. I would think that if a physical difference from the norm was to cause an individual undue problems, most parents would opt to get it "fixed." There are valid medical reasons for repair a cleft palate or protruding/crooked teeth as well as lazar surgery on the eyes that go beyond cosmetic. I believe purely cosmetic surgery violates the princples of Sikhi, but we Sikhs tend to be a contentious lot. I am sure there are those who disagree with me. (BTW, one of my nephews had a nasal condition that necessitated a "nose job," which he got without blinking. The hair and nails thing is a common question. Here is an article which explains the difference. It is often argued that hair and nails are similar, and a question frequently asked: "If we should not cut our hair, then why do we cut our nails?" But even a superficial study of the two shows them to be extremely different from each other. Whereas the hair grows from a tubular pit, the hair follicle, formed by sinking in of the most actively dividing layer of the skin, i.e., stratum germinativum, into the lower dermis, the nails are only modifications of the upper dead layers of the skin, i.e. stratum corneum. Further, the base of every follicle bulges out forming an inverted cup, which receives blood capillaries for nourishment and nerve fibers that make the hair sensitive to contact. An oil gland, known as sebaceous gland, opens into every hair follicle, the secretion of which lubricates the hair. A muscle is also attacked to the base of every hair for bringing about movement. Pigments are added to the shaft of the hair as it grows. None of these features is associated with nails. Structurally also hair is extremely strong, and resists breaking due to its elasticity and flexibility. Hair is as strong as steel, if we compare the two of the same diameter. Nails, on the other hand, are very brittle and rigid, breaking off easily. Hair number in thousands, thereby increasing the surface area, as if to meet a specific requirement. Nails number only twenty. The differences between the two do not end with the structural features. Even the body's response towards the two is totally different. Our body, throughout life, tries to maintain a particular length of hair, and if cut anywhere along the length, responds by growing them again to the specific length. It clearly indicates the link of the body with the hair all along its length. The body shows no such response to the nails, which grow from birth to death at the same rate, irrespective of whether cut or not. As has been mentioned earlier, even the shafts of hair, like any other living organ of the body, respond to ageing (in their length, density of growth, graying, etc.) and condition of health is reflected in the person's hair (in their lustre, shine, etc. ), whereas from the dead part of the nail, one can infer no such thing. Practically also, hair do not interfere in any daily activity, whereas it is impossible to function at all with long nails. And even if not cut, nails generally fall off of their own easily; rather it takes great effort to maintain them, even up to a short length. In contrast to the long list of the functions of hair, only one function can be attributed to nails - that is, protection of the tips of digits. Locks of Love and Wigs for Kids, wrote many news stories beging people to stop sending worthless mountains of hair and to donate money instead. Baisicaly people donate hair to feel like they are generaous when it costs them nothing. But these charities have to waste 99% of the donated hair at great expense. Also the charities do steal proceeeds from selling some hair to china. Thank you for the information. My hair are intact and will stay that way.